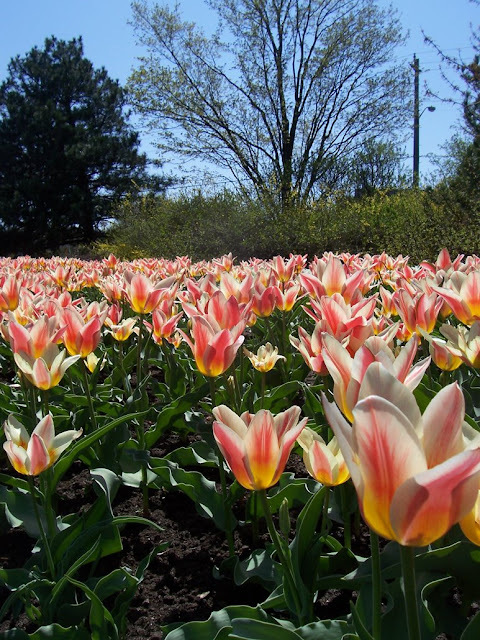 Each spring, Ottawa's grounds are covered by over one million tulips that all pop into bloom in early May. 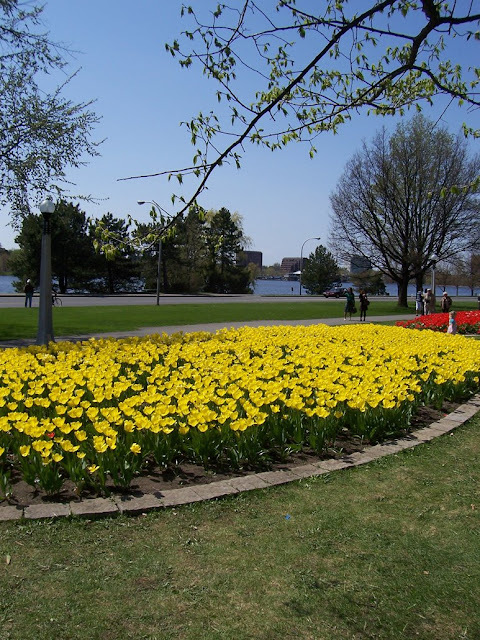 They are planted in large, monochromatic beds around the city by the National Capital Commission and are maintained until the end of the month. 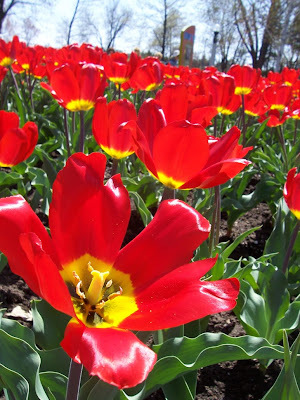 Each year, over 500,000 people visit Ottawa to see the astounding variety and multitudes of tulips. 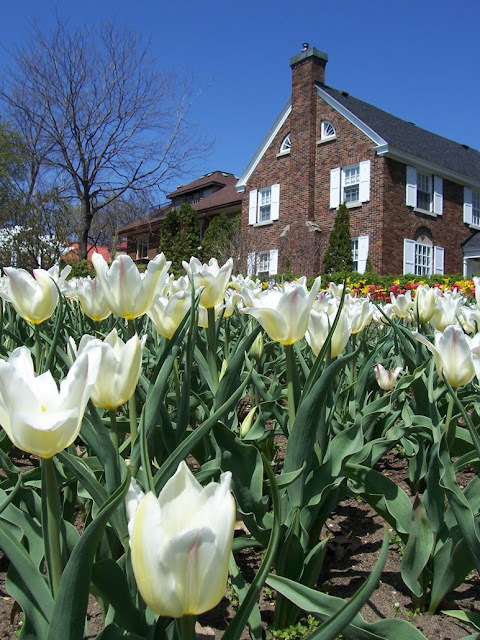 There are also horticultural exhibits, tulip shops, music and dance performances and photo and painting galleries set up around the sites. 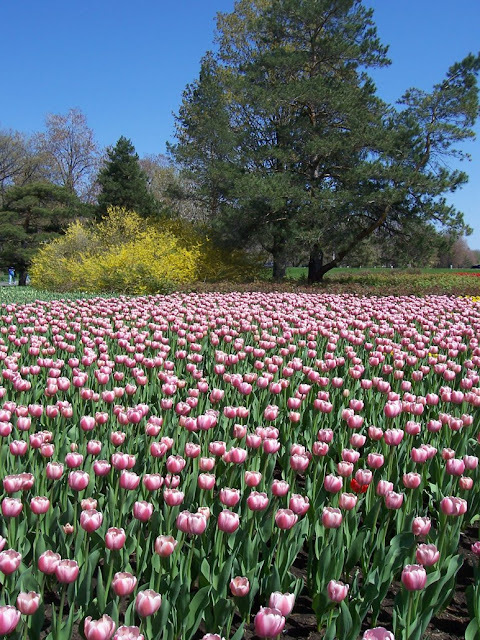 Ottawa's International Tulip Festival has a rather interesting history, one that is tied to the Dutch Royal Family. 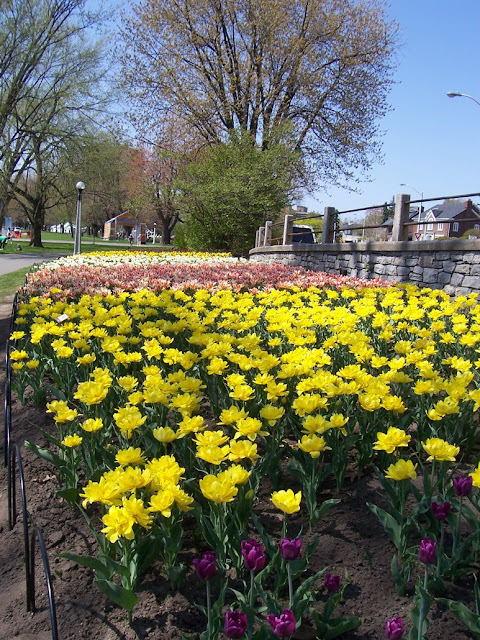 In 1945, the Dutch royal family sent 100,000 tulip bulbs to Ottawa in gratitude for Canadians having sheltered Princess Juliana and her daughters for the preceding three years during the Nazi occupation of the Netherlands, in the Second World War. 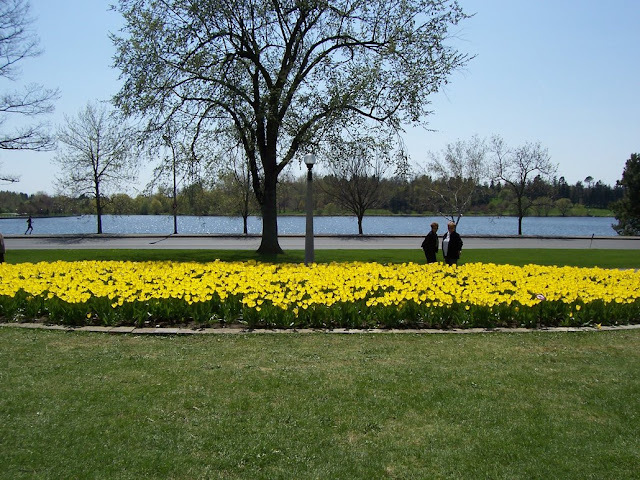 The most noteworthy event during their time in Canada was the birth in 1943 of Princess Margriet to Princess Juliana at the Ottawa Civic Hospital. The maternity ward was declared to be officially a temporary part of the Netherlands, so that the birth could formally be claimed to have occurred on Dutch territory. 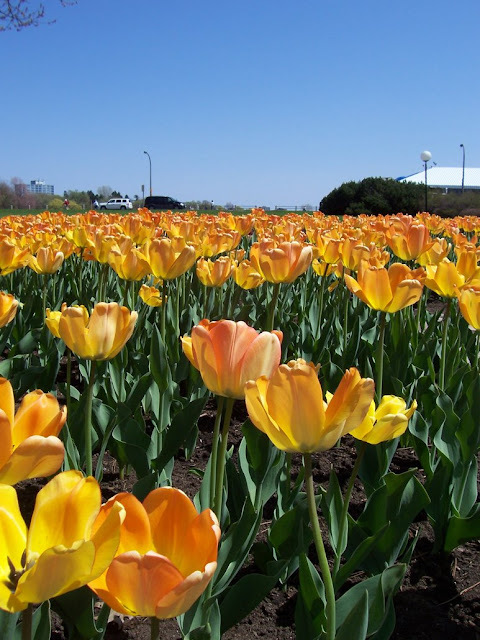 In 1946, Juliana sent another 20,500 bulbs requesting that a display be created for the hospital, and promised to send 10,000 more bulbs each year. 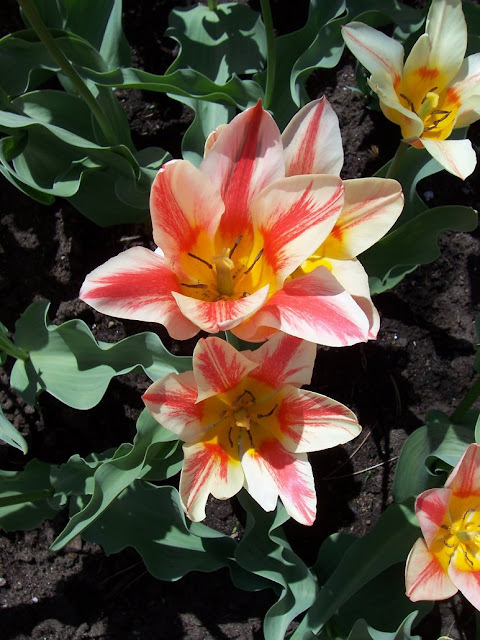 Below are some photos I took of the tulips yesterday, under blissful May sunshine! Enjoy! Wow, those are spectacular! Thanks for sharing your photos. 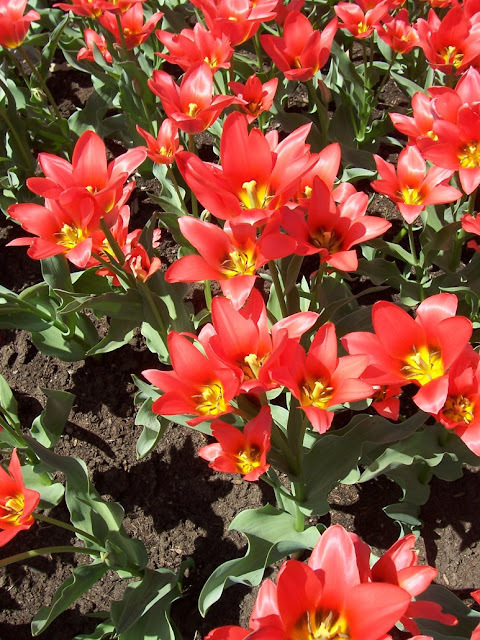 Tulips are truly a sight to behold when planted in "fields" of the same color. Wonderful! Thanks, Mike! One I thing I didn't mention is the fragrance! Let me tell you, the air never smelled so sweet! 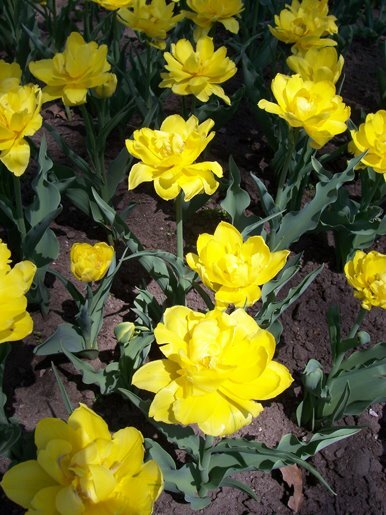 My favorite flower is a yellow Tulip!! Gorgeous pics. I would have thought I was looking at Martha's gardens if you hadn't told us otherwise. You are lucky to have gotten spring. We received a horrible snow storm today here in Calgary. Great blog!! You have no idea how hard it was to resist the temptation to pick a whole bunch and run off like a bandit! The arrangements I had composed in my head were pretty out of this world. gorgeous gorgeous gorgeous - We don't have anything like that in alaska (obviously). And I agree - your photos could easily grace Martha's magazine--they look that good.